In this episode, Adblock Plus starts its own ad network (or does it?). 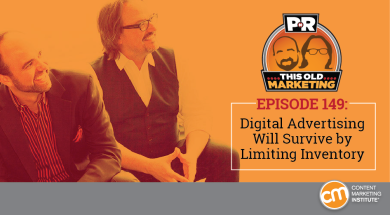 Robert and I also discuss the future of advertising, analyze AT&T’s aim to become a media company (of course), and share our thoughts on whether or not content marketing is hard to measure. Rants and raves include a lengthy talk about diversity in the event business, then we wrap up with our example of the week: Walmart World. Adblock Plus may or may not have switched its advertising alliance (06:42): Confusion abounded after ad-blocking technology company Adblock Plus announced its new ad exchange platform, which many have interpreted as the company’s decision to start selling ads. An interview with Adblock Chairman Tim Schumacher on Contently explains the motivations behind the surprising move — and the backlash that ensued — in more detail. But Robert feels the bigger question here is why publishers are letting third parties dictate the terms of ad inventory, when they should be serving higher-quality content experiences themselves. Is AT&T trying to transform into a media advertising company? (17:28): A recent article on the CNBC website examines evidence that may indicate the telecom giant is in the market for a media-company M&A play. As the article explains, a strategic media acquisition would be a smart path to AT&T shoring up its advertising technology business. Long-time PNR fans will recognize the bigger story here, which is that AT&T is just one in a large number of giant companies that are looking for better ways to deliver signature, media-oriented experiences to consumers. 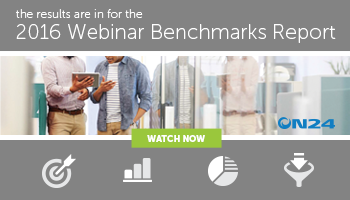 Does the content marketing industry have a measurement problem? (30:20): In his recent post on the Martech Advisor website, ScribbleLive CEO Vincent Mifsud attempts to demystify the equation when it comes to the best metrics to use for content marketing. While I’m sure measurement is a complicated issue for anyone in marketing — regardless of the discipline — I explain why there’s one metric that should stand above all others when it comes to content: subscribers. Joe’s rave: I have some praise to heap onto Jerry Seinfeld’s online series, Comedians in Cars Getting Coffee. The series’ Emmy nomination in the short-form nonfiction category was explored in a recent Chicago Tribune article; but beyond the entertainment value it provides, the show may also be one of the first examples of an Emmy-nominated content marketing effort, since it is entirely underwritten by Acura. 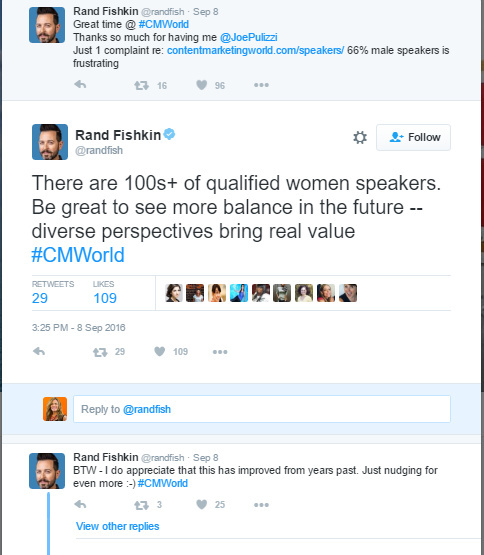 Joe’s “semi-rant”: A tweet from Rand Fishkin during Content Marketing World 2016 reminds us of the urgent need for greater diversity at marketing events, particularly when it comes to women speakers. It’s also the subject of a thoughtful LinkedIn post from our own Cathy McPhillips. Though we at CMI are doing our part to make progress in this area — in fact, 45% of the speakers at Content Marketing World 2016 were women, compared to 37% the previous year — this is an important issue that our entire industry should be doing more to address. Robert’s “rant-y” rave: Robert gives a shout-out to Daniel Newman, whose Futurum blog featured a great article on the cultural obstacles companies face when trying to make a digital transformation. One of the issues that particularly connected with him when it comes to digital content is the need to acknowledge that not everyone is suitably equipped to create content for the organization. If an effort isn’t adding value to the business, there’s no point in doing it just for the sake of giving everyone an equal voice. Walmart World: Among my vast collection of old magazines, one jumped to the top of the stack for me recently: Walmart World. 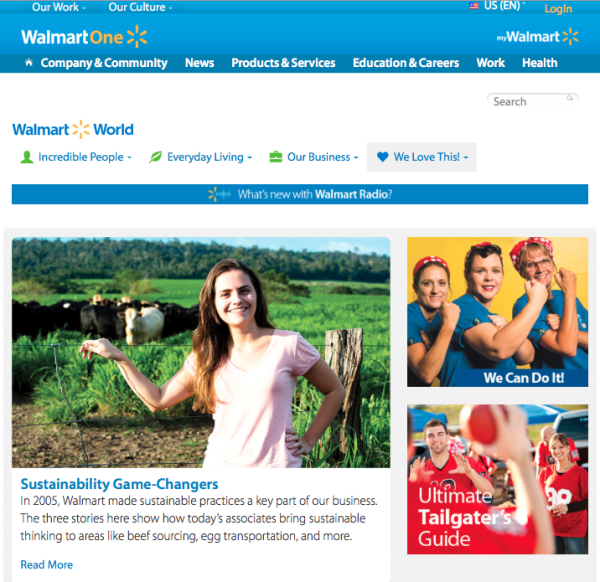 As I did some digging into the publication, I discovered its content mission: “The Walmart World program, both print and digital, fulfills the mission of engaging, inspiring, and educating Walmart associates in the things they care about… Store associates are the real front-line of Walmart; they are in touch with our customers every day.” After exploring the associated Walmart World website, I was impressed at how comprehensive a resource it is for employee issues and discussions, as well as associate promotions, likes, and trends. What I liked most about it is that there is plenty of content directly created by the employees themselves, making it a fine This Old Marketing example of how to enable your team members to willingly participate in your content marketing efforts.